Drain Cleaning Services Northern Virginia | Cardinal Plumbing Heating & Air Inc. When it comes to clogged drains, time is of the essence. A backed-up drain creates a major inconvenience for homeowners and can be detrimental for business owners. Cardinal Plumbing Heating and Air Inc. offers fast and efficient drain cleaning services when it matters most. We provide same-day service throughout Northern Virginia and can typically unclog sinks and showers within just a few hours of your initial call. The most obvious sign that your drain is clogged and needs to be serviced is slow-moving drainage and water that won’t go down. However, there are other things to look out for, such as loud gurgling noises, unpleasant odors, and water coming up through drains when they aren’t being used. 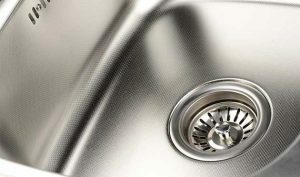 If you notice any of these in your sink or shower, it’s time to have your drain cleaned. Taking action quickly will prevent the possibility of standing water in and around your drains, which can cause dangerous mold and bacteria growth and make it difficult for your family to breathe. Why Choose Us for Drain Cleaning Services? Our technician will run a special camera down your drain to determine the cause of the clog and find its exact location. Then, we’ll be able to provide a precise, long-lasting repair without causing any damage to the surrounding surfaces. Don’t wait until the contents of your pipes are spilling into your sink or shower. Contact Cardinal Plumbing Heating & Air Inc. today for professional drain cleaning services and find out why we have received more than 1,000 five-star reviews from our past customers.